Over the past six years, Taylor Mali has become a YouTube sensation with teachers (and others). His presentation of his poem, “What Teachers Make” has been viewed more than four million times. This poem was also part of an inspiration and presentation that I shared on Opening Day with all staff in West Vancouver. Just recently, I used a modified version of the presentation when I spoke with Teacher Librarians about the key transformational role they play in “Leading from the Library”. While people have been very kind in giving me credit for the presentation, the real credit needs to go to Andrea Wilson, Manager of Communications for the West Vancouver School District, who also has the keen ability to turn concepts into reality. If you would like to know more about the recent presentation at the BC Teacher Librarians Association Conference, my slides are available here, and with special ‘thanks’ to Gordon Powell, the presentation is also archived on UStream. There was also a story on it here in the Tri-City News. Last spring the West Vancouver School District added Administrative Procedure 171 – Sexual Minority / Sexual Orientation / Gender Identity to its Administrative Policies and Procedures. The administrative procedure seems to have generated more attention outside the school district than inside the district. It was covered in Xtra, the North Shore News and the Vancouver Sun, but inside the district, it was generally greeted with an attitude of “well, that just codified what we do”. I am writing to you as a new teacher in the West Vancouver district. Although I have only taught at the school for 10 days, I feel it necessary to let you know what a huge impact working in this district already has had on me. To fully appreciate the positive impact I’ve experienced, it’s necessary to provide some context. On my ninth day of teaching, I learned of an embarrassing, disappointing, and hurtful incident. My principal, invited me into her office after school to discuss the issue. 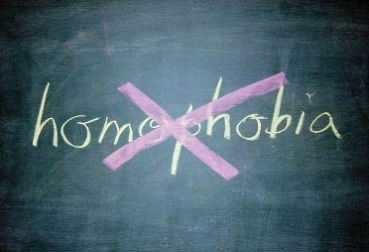 Specifically, Grade 7 students had been overheard in the playground referring to me by using homophobic language. As a teacher with 15 years of experience under my belt, the notion of kids referring to me disrespectfully did not come as a surprise. But what was surprising was my principal’s reaction. She told me how disappointed she was; however, rather than electing to just pull offenders into her office and reprimand them with the standard, “That is not respectful,” she talked with me about how she wanted to challenge and change the culture of our Grade 7 classes in which that kind of language is okay. She offered to either lead a lesson or, should I choose to take the lead, lend her support and input. This happened on Friday and I spent the weekend preparing. This morning, I gave the lesson to 60 Grade 7 students. I was not alone. My principal stood beside me, recording kids input on the board and offering sage words throughout the presentation. Both Grade 7 teachers were there and the principal brought in the school counsellor and the learning services teacher to lend their support, as well. As I began what I knew might be a difficult lesson, the presence of all the other adults in the room made me feel as though both my school and my district were behind me in the delivery of this message. It was then that our discussion got really interesting as we looked at the problem with the campaign: that it is adults trying to make a difference, when really, it is only kids who can. With an eye on the suicide rate of teens bullied in Canada, we discussed why no one should have to wait for it to get better. Finally, we examined what they could do as Grade 7 students about to enter high school: by standing up for each other and by being more mindful of their own word choice, they could make it better NOW. All the teachers in the room were involved in a final conversation with the kids about what we see in the world around us and how we might positively impact it. Despite the difficult content, I realized that the kids were engaged, participating and really cared about our discussion. I am having them write a reflection piece, which I hope we can share with younger students in the school. Another teacher in the room even encouraged kids who were comfortable with sharing their thoughts to blog about it. I cannot express to you how thankful I am to be working in a district that has a policy in place that makes school a safe place for everyone, regardless of their sexuality. The Administrative Procedure 171 passed by your board this past June has made a real difference in my life and already has had a positive effect on the students I teach. My administrator, backed by this policy, went above and beyond her call of duty to transform what was a disheartening situation into an engaging, positive and teachable moment for everyone involved. In my teaching career, I have never had an experience in which I felt so supported, and in which I felt like I was genuinely able to make an impact on kids to have them create an immediate difference in the world that surrounds us. I guess what I am trying to say is thank you for making this a possibility in our lives. There is no doubt that our work around homophobia is a work in progress, but stories like these are heartening, and make me exceptionally proud to work in our community of amazing educators. If you are looking for additional resources on this topic, a previous post here links to some other supports. I wrote a post earlier this year which described the changes in my own teaching in How My Teaching Has Changed. Last week, I was reminded of this post in a conversation with a parent of a Grade 6 student at Bowen Island Community School. 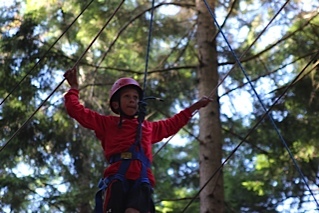 Her son is part of outside45 — a Bowen Island-based environmental education program for Grade 6 and 7 students blending learning in the classroom with frequent experiences in natural and built environments on-and-off the island. The mother spoke about how excited her son is with school; how he has no idea what he is actually doing is learning, but he does spend the day studying science by exploring the diversity of life within ecosystems rather than reading about them, and a lot more different from the way science is traditionally covered. Rather than reading about science in a book, or even simulating experiences in a classroom, he and his class were engaging in “real-real” learning –connecting real science to real life. This story, however, is part of a larger signature at Bowen Island Community School. 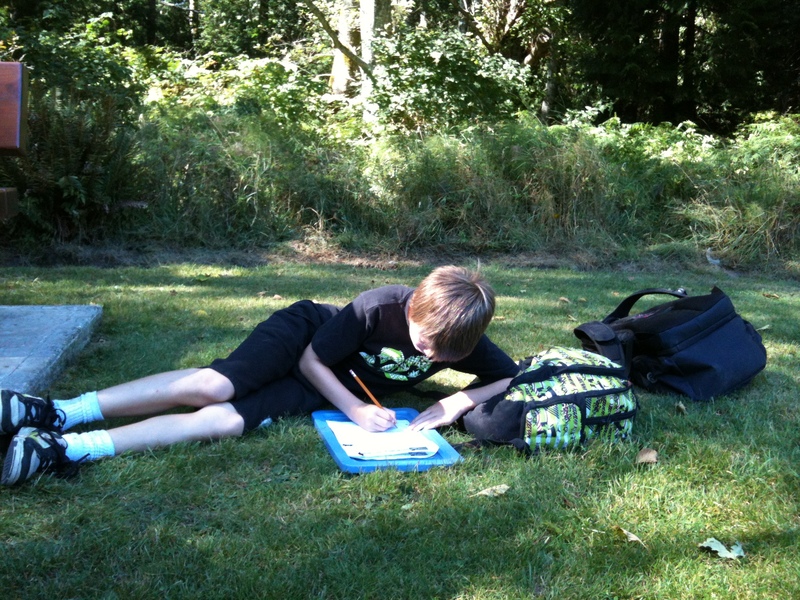 I use the term “signature”, as Bowen Island is not about creating a choice school, it is “the school” on Bowen Island. It is about connecting to the community, and defining a ‘signature’ that is both reflective of its place, the school, and the district community. There are clear elements of inquiry, self-regulation and digital literacy in the programs on Bowen Island, but they look different from other sites in the district. One common theme, throughout the school, is that of sustainability. The outside45 program is part of this, but the school has also recently built an Outdoor Learning Classroom and has opened the school up to field experiences for other schools through its “From Our Forest to Our Seas” opportunity (click here for more details). Bowen Island is unique, and at the same time it is part of something much bigger currently developing in education. Its ‘signature’ is that of inquiry and looks through a lens of the environment and sustainability, that takes self-regulation and links it to restorative justice and the development of social-emotional learning, and takes digital literacy and blends it through curriculum. While the program is unique to Bowen’s community, there are similar conversation elsewhere in the district. At Gleneagles Ch’axáý Elementary, it is the arts that is a common lens for inquiry; at West Bay Elementary, it is the Primary Years IB framework, and at Caulfeild, it is the iDEC program that links inquiry to technology and a series of “soft skills”. AND, it is not only occurring in West Vancouver. 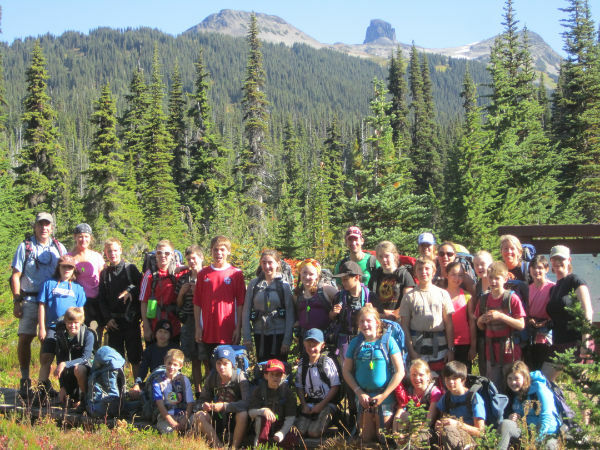 The outside45 Program in itself is proving to be powerful, and the linking of students to their physical world can be seen in other corners of the province from the Environmental School Project in Maple Ridge, to the Ecological Education Program on Saturna Island, to the Nature Kindergarten Program in Sooke. Bowen Island Community School epitomizes the notion that you don’t have to be sick to get better. The school has deepened in connections to the community, evolved its programs to build on relevance on engagement, and is continuing to search for ways to meet the needs of the families in the community. They have also taken the themes that link schools across the district and brought them to life at their school. Some are waiting for an implementation plan for personalized learning in our province — at Bowen Island Community School, and at all of our other sites, people aren’t waiting — they are bringing personalized learning to life now. I am looking forward to being on Bowen Island this Wednesday night (October 17) to speak on the topic, “What Our Kids Need – A Look at Innovation in Education on Bowen Island and Beyond” and being part of their community dinner. Bowen Island Community School is an example of how to evolve to meet the changing needs of our kids and our world. Now how is that for a title? While he is America’s only president, he is also his daughters’ only father; his duty to them demands that he take time out from his duty to his country. And so he makes sure that at 6:30 each evening he’s seated at the family dinner table. After the meal, he helps his daughters with their homework. So, why I am I writing about this? It struck a chord, because I am questioning if parenting is generation-oriented; has parenthood become different from previous generations, and I am also wonder about the role technology is playing, well actually, more how it can play in changing the “rules” of our work. Now, on becoming a parent, over a decade ago, when the opportunity of a new job came up, before salary, before potential prospects, before anything, in fact, the first question I asked (and still ask) is, “What do the evening commitments look like?” For, like Obama, I am not interested in being an absentee parent. I’m not suggesting anyone does,or that previous generations did — I do think the game has changed. For me, I am happy doing “the work” online late into the night, and picking it up early the next day. BUT, I want to make a window of time, on a semi-regular basis — somewhere between six and nine at night, when I engage with my kids. There is no longer a prize for being the first car in the parking lot in the morning, or the last car to leave at night. For many, that was (for some, it still is) the sign of ‘hard’ work. However, where work happens is changing. No question, there are parts of my job that require being “present” and having face time. There are other parts that simply need to get done, and they can be done in the office, at home, at 6:00 p.m. or the next morning. On being superintendent — having been appointed to this position three years ago, and now just completing my second full year in the role, I do find the position is a bit what one makes of it, and there are so many ways to “do it right”. I have seen others in the role who are masters of the community, attending events at arts clubs, chambers of commerce, community centres and many other community events. And, this is important work, because it raises the profile and interests of a school district. One still needs to pick and choose how they will spend their time. My focus is really getting the learning right in classrooms, so classrooms over community has sometimes been the priority. And, to be honest, I have had no problem with working hard, I do want to be sure that my own family sees me some evenings. Yes, I nod my head knowingly at presentations to parents where we discuss the importance of family dinners and other similar connections, knowing full well, that at that moment, I’m doing the very opposite this. I have had to make choices to forgo evening opportunities, and redefining the role of superintendent, aligned with those values. I also do realize what I attend speaks to what I say is important – so these decisions are always taken carefully. Now, if the President of the United States has figured out a way to be home most nights by 6:30 for dinner, surely I (and those who work with me, and have jobs like mine) can find new ways to be home for dinner a couple of nights a week (I am reminded of a previous story blogged about in YOUR CHOICE). That said, to the credit of those I am working with in West Vancouver, from staff to Trustees, we are experimenting with more online meetings, and looking at doing more of the face-to-face meetings during daytime hours. Our District Leadership Team of six, all have children in the K-12 system right now, so this issue is very relevent for all of us. So, if the President of the United States can have dinner with his family “most nights”, that’s certainly good enough for me to aspire to! As we celebrate World Teachers’ Day, I want to celebrate some of the teachers who, early in my career, have influenced and shaped the teacher I have become. Last year, I celebrated my own teachers — in particular, Mrs. Caffrey — and the influence she had on me as a student. Today, I want to thank a few teachers who made all the difference in my very first year of teaching. There is a bit of luck involved where one lands as a new teacher. When I started in September 1996, I landed at McRoberts Secondary in Richmond. I was teaching outside my area (as a Humanities teacher in a Math/Science assignment), but was immediately partnered with Bill Lawrence as my mentor. Bill, was a kid-magnet and made science and math relevent and engaging. That first year, I remember how he gave up his October PSA Professional Development Day to spend the day planning with me. We both taught a double block of Math/Science 8. We took the time to build several units we could do in tandem. He was also so willing to share. Admittedly, I had some colleagues who protected their lesson plans and resources like state secrets, but Bill’s filing cabinets were always open to me. And even though science and math were not my areas of expertise, he treated me like a true partner in our teaching — although I know I was getting far more from him than he was from me. From “egg drops” from the roof to “the science of breakfast cereal” he helped me see the course wasn’t the textbook. It was not only Bill who made a difference in that first year. When one is surrounded by excellent teachers, that excellence is bound to rub off. I watched how Doug Sheppard built an outline for a course around student outcomes and not activities — this was a new way of thinking for me. I also saw Doug use a final exam that had only one question, and certainly different from the multiple choice tests I assumed were the only final exam option. I also worked with Gail Sumanik who was in the role of principal, but was a teacher first. She challenged and supported me as I began to figure my way in the profession. And, then there was Fred Harwood, who quietly offered to switch one block in our teaching assignments that first year; it gave him one extra course to prep, and me one less — one of the little things that can make a big difference for a first-year teacher. 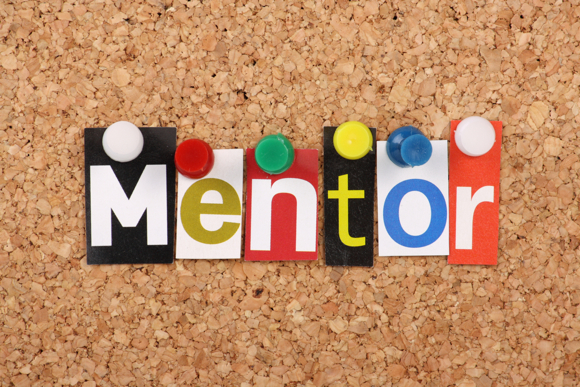 It was a bit of great luck I had in my first year, to have mentors who took time to help me become successful, to be surrounded by excellent teachers sharing their craft in a culture that was accepting and encouraging. As we celebrate World Teachers’ Day — and all the wonderful ways teachers are making a difference; making our world a bit better, one child at a time, I want to thank Bill, Doug, Gail, Fred and all the others for their insightfulness, taking the time to help me find my way, and welcome me to the most amazing profession in the world.